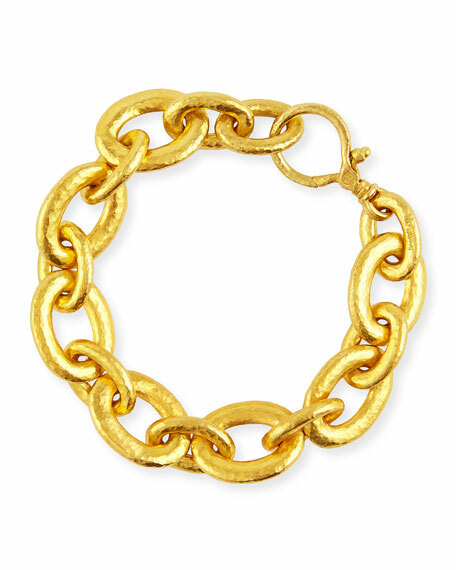 Galahad oval link bracelet by Gurhan. Truly one of a kind, all pieces are numbered and signed by the artist. Signature 24-karat yellow gold with hammered finish. 22-karat gold handmade lobster clasp.